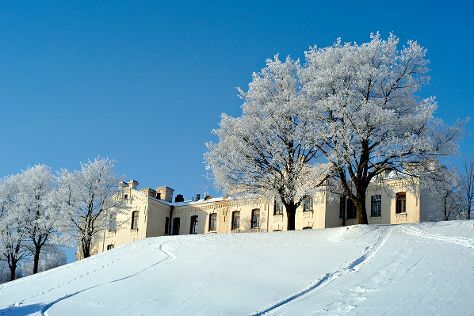 Do some cultural sightseeing at Lappeenranta Fortress and Lappeen Marian kirkko. Take a break from the city and head to Repovesi National Park and Saimaa Canal. Step out of Lappeenranta to go to Imatra and see Lammassaari Island, which is approximately 32 minutes away. The adventure continues: explore the historical opulence of Sandcastle Lappeenranta, take in the dramatic scenery at Imatra Waterfall, take in the architecture and atmosphere at Nuijamaa Church, and get engrossed in the history at Wolkoff House Museum. To see maps, reviews, traveler tips, and other tourist information, use the Lappeenranta online trip builder . In July, daily temperatures in Lappeenranta can reach 24°C, while at night they dip to 15°C. Wrap up your sightseeing on the 23rd (Tue) early enough to travel back home.